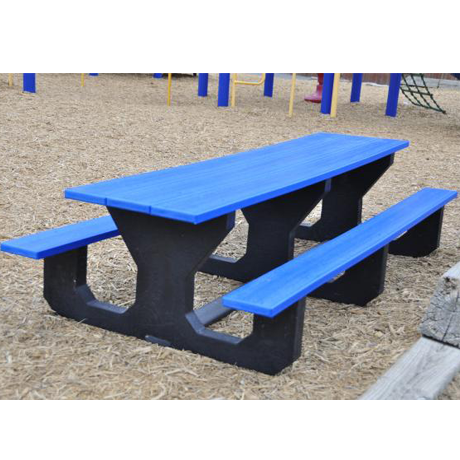 Perfect for little tikes to color, do arts and crafts or have a picnic in the park, playground, day care or school yard, these child picnic tables are designed with your young children in mind! 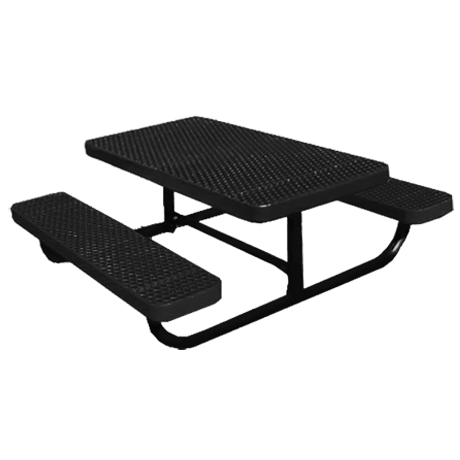 Picnic table top heights range from 20 ½ to 24 inches and the seat heights range from 10 ½ to 14 inches, allowing you to choose the table best suited for your age group. Safety is crucial! Wide table bases add stability, and rounded edges provide cushioning should a child take a tumble. 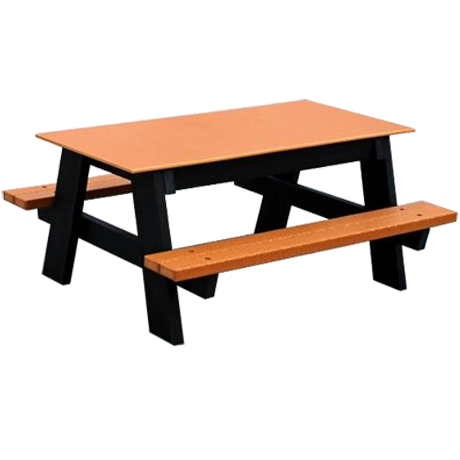 Many of the adult sized picnic tables are available in child height, so you can coordinate your space and give them their own kids picnic table. Recycled Plastic top, seats, and legs. One of these tables has a solid surface top that is good for writing or drawing. 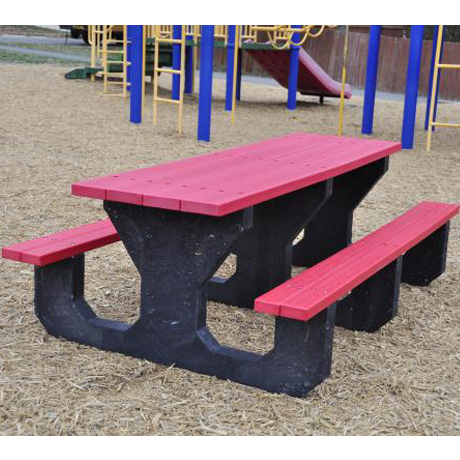 Call and let our friendly sales staff help you choose the kids tables that are right for you! Kids Furniture - 100% Plastisol Coated!